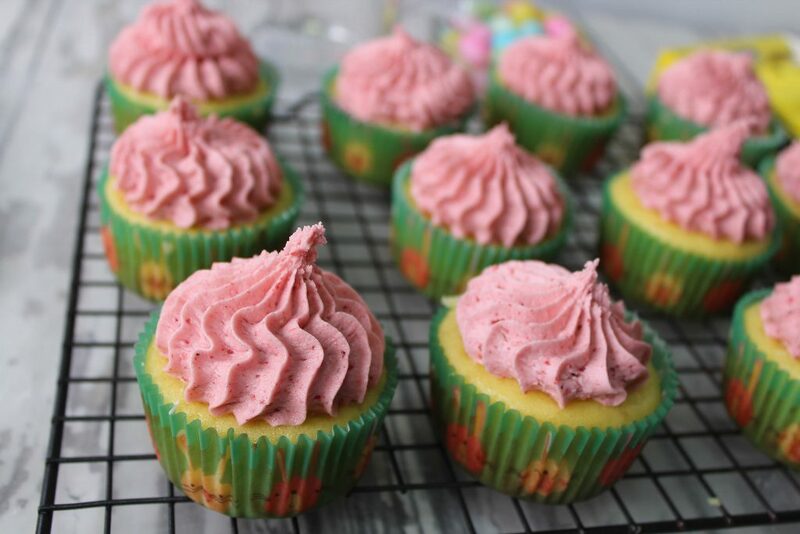 So once you have baked your cupcakes , made the frosting and filling it is time to get started. I know it’s a lot of mixing but the end result is fun. 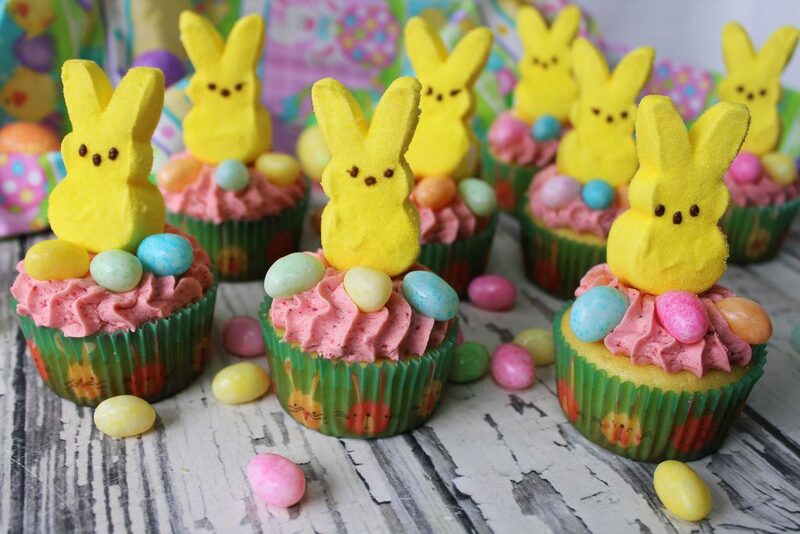 This is the perfect recipe to share with your kids. 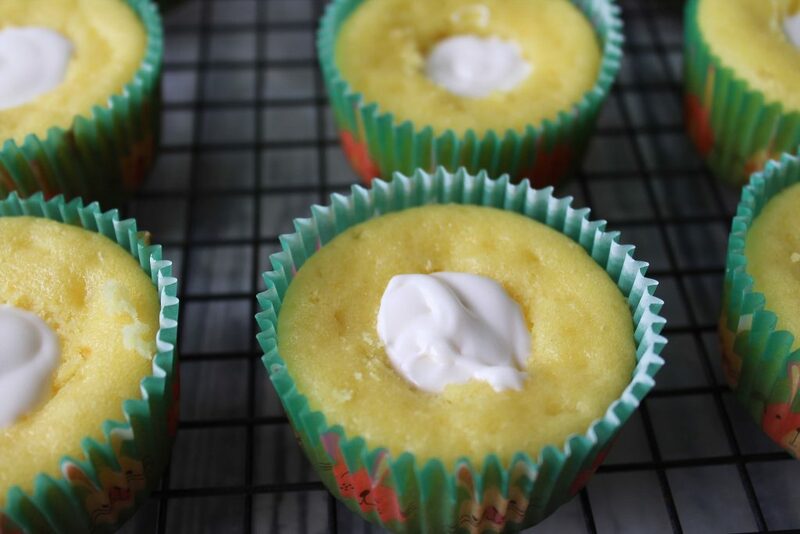 I used a large icing tip to cut out the center of the cupcake . This worked great but you can also use a small pairing knife. 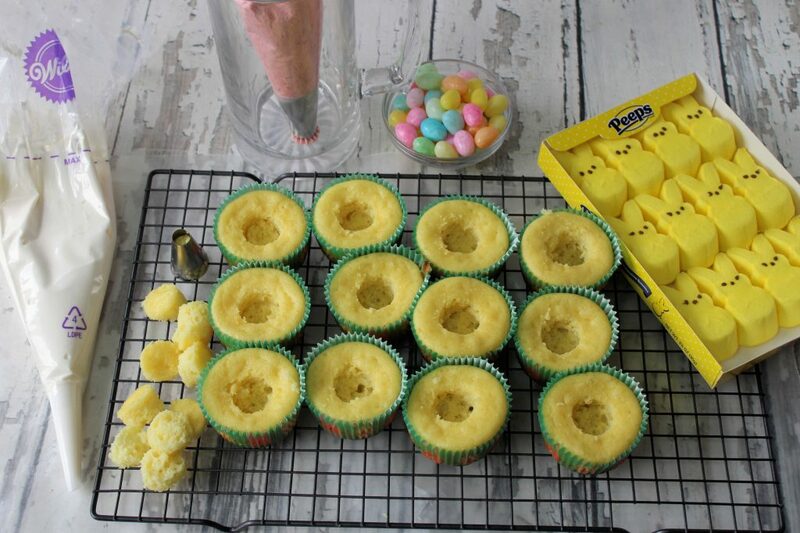 Fill the cupcakes with the marshmallow filling. This is sticky so be careful and there might be a little bit leftover. 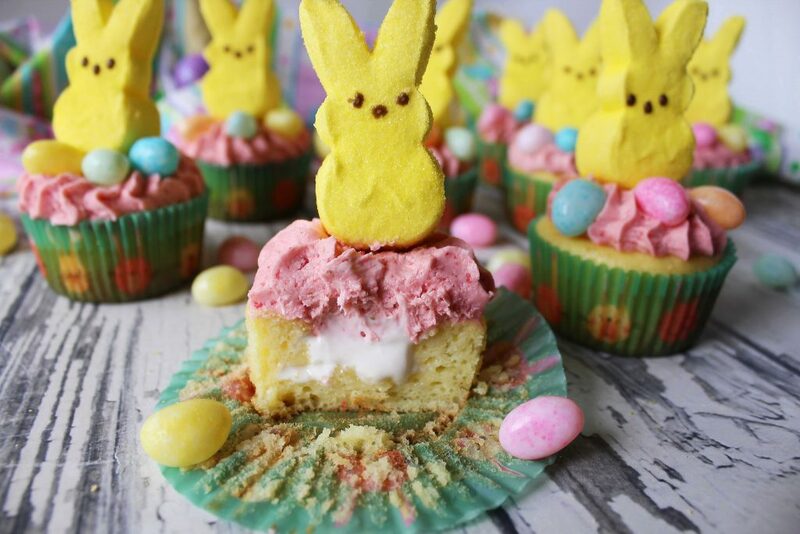 Top the cupcake with a little mound of frosting for the bunny to sit on .I used a very large open star tip but feel free to use your favorite. 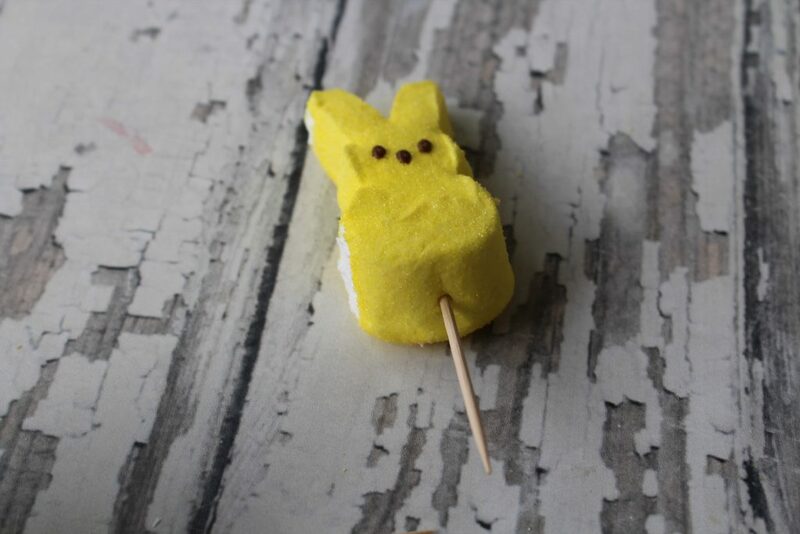 Break apart the bunny peeps and place a toothpick in the bottom of a peep. 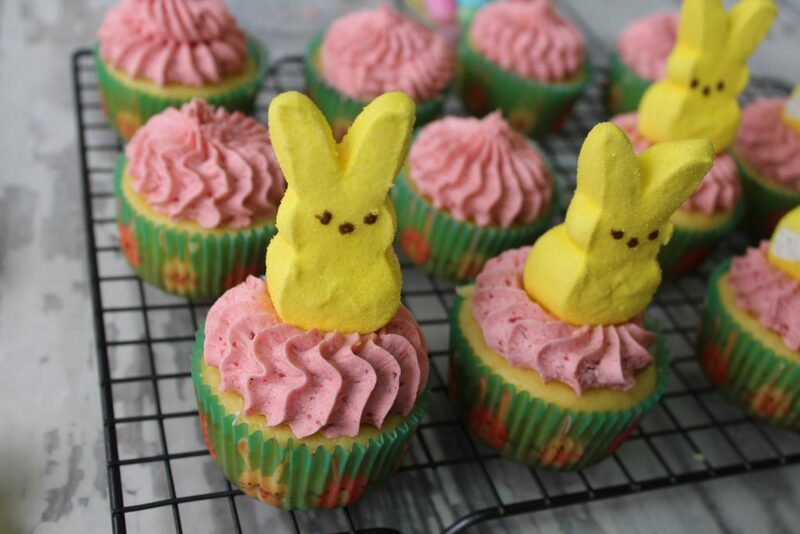 Place the peep on top of the mound of frosting. 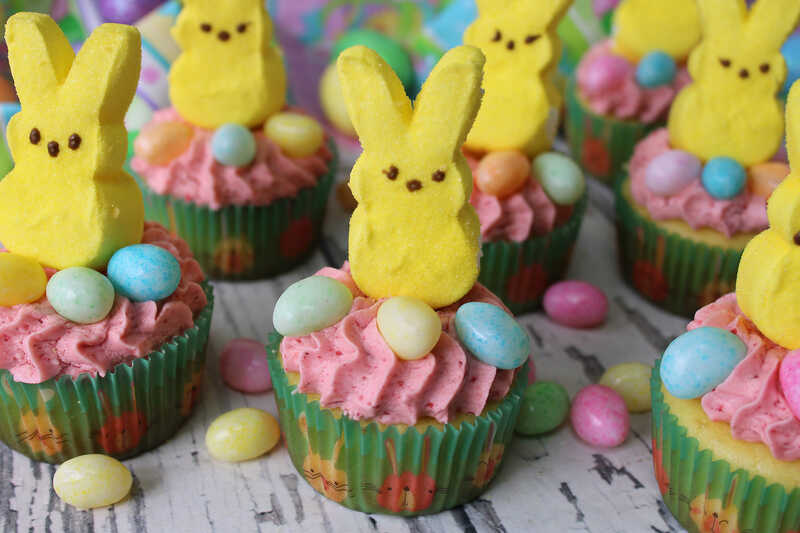 Scatter a few jelly beans around the bottom of the peep. Now watch with joy when your family and friends get the marshmallow surprise in the center.